Back Pain Relief Remedies. Do you need Surgery ? Are you suffering from severe back pain & Do you really need a surgery to get back pain relief ? Spending overtime in front of computers or sitting for long hours, wrong sitting posture, bending suddenly, lifting heavy weights suddenly, driving long hours, over weight, some type of nerve diseases and changes that occur in body with ageing are the most common reasons for back pain. Most of the people immediately get back to work as soon they get relief from back pain but a proper rest to the back is advised to prevent it from recurring. If the pain continues to trouble, few tests like X-Ray, MRI scan, CT scan, bone scan may be needed to diagnose the cause. 1. Simple neck and spine exercises are necessary to get back pain relief. 2. Observe the sitting posture which cause back pain and set it right. A faulty posture is the common cause for back pain at work. 3. Sitting up from the chair in regular intervals can help from preventing back pain. 4. Yoga can help to reduce back pain. Practice it under a professional yoga trainer. Most of the times, back pain that occur from accidents or from any other special cases are treated by surgeries. Not all back pains require surgery to cure. 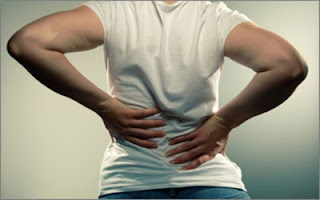 If the back pain troubles you continuously for many days, consult a medical expert.